Goods arrive to the destination reliably with us! The business of Alpter Group has founded in June 1997. Since 1999 we mainly offer international and domestic transport services with heavy vehicles and mine gravel. The main part of our work is transport services in Estonia. 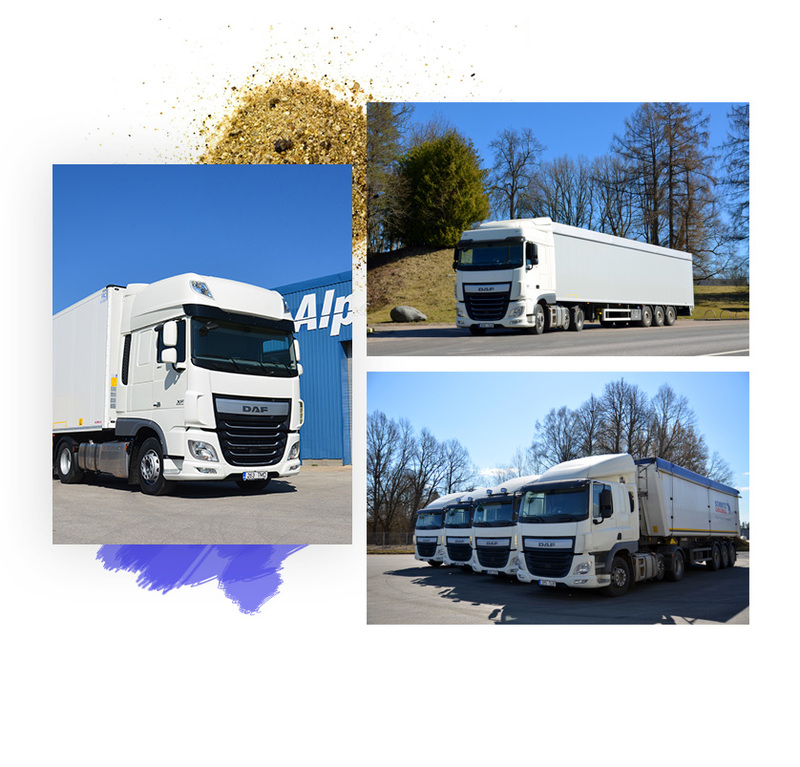 wooden pellet and bulk material with tip lorry trailers and "walking floor" trailers. We also provide transportation of pallets and sawn timber with tautliner semitrailers. We are open to all new co-operation offers.